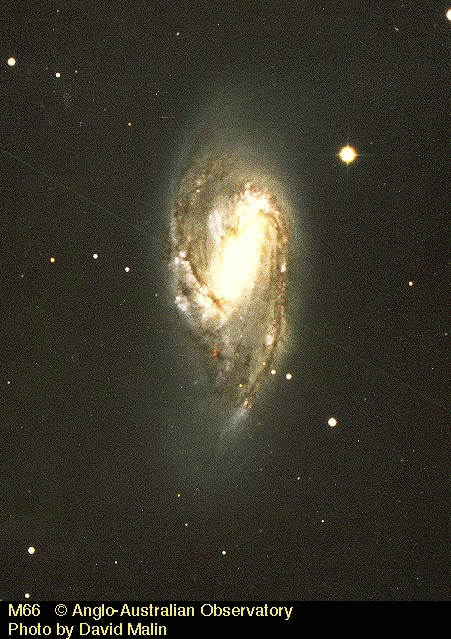 M 66 (NGC 3627). Spiral Galaxy in Leo. In the Leo Triplett. RA=11 20.2, Dec=+12 59. 8.9 mag, dist=35000 kly.